"It seems more and more likely that Wednesday will be the day the infamous white iPhone 4 is launched, finally putting an end to the rumors that have surrounded the device for the last 10 months since it was originally announced. There's one more before the big day, however: it seems that only the 16GB model of the device will be available when it hits stores." 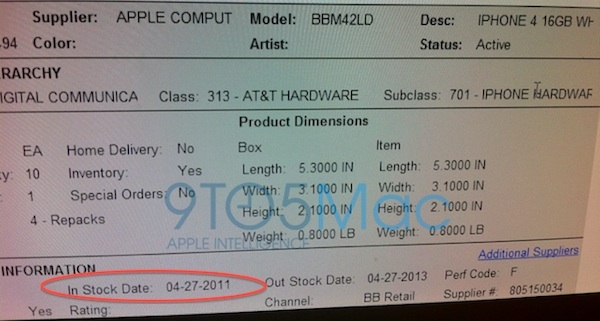 This info from Boy Genius Report, source of many breaking news stories, and it lists tomorrow as the "In Stock Date" at this AT&T store. It appears, so far at least, that it will only be the 16GB version. I'm not too fond of the white iPhone myself, but I do know a few people that have been waiting for this day. How about you, are you kind of "meh" like me or is this news really exciting you?